Hospitals that are enrolled with The Gift receive online and off-line training for hospital staff and providers. Download this executive summary to learn more about the Coffective Provider Education that is now available to enrolled hospitals. To access The Gift Train-the-Trainer and Technical Assistance webinar recordings, enrolled hospitals can visit the “Resources for Enrolled Facilities” section of the website, by clicking here. 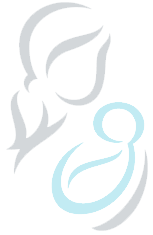 The New Orleans Breastfeeding Center (NOBC) recently launched the Infant Ready! Program. It includes a toolkit designed by co-founders, Latona Giwa and Nikki Greenaway, for families and communities to become better prepared to feed infants safely in emergencies from hurricanes to homelessness. The Infant Ready Emergency Feeding Kit will be distributed to pregnant and parenting families in preparation for disasters and emergencies. It includes everything a family needs to safely feed their 0-2 year old for 48 hours, plus an educational booklet on safe infant feeding techniques such as breastmilk hand expression. NOBC wil also be providing safe infant feeding training to emergency responders and consulting with emergency response organizations to create systemic changes to infant feeding practices. See the Infant Ready! Parent Tip Sheet and for more information about NOBC, please visit their website. Sign up for our bi-monthly e-newsletter. If you are a birthing facility interested in learning more about The Gift and improving the quality of your maternity care services, contact us.